When I was approached by Caroline who works with UK retailer Wallis, I knew that I wanted to participate before she even gave me the details of the collaboration. I had always thought of Wallis as a good place to go for wardrobe staples, and after learning more about the collaboration, my instincts proved correct. Not to toot my own horn or anything but...you know. Toot toot. Wallis has created the Style Advisor, an app that assesses your style preferences and then creates a specially-edited collection of items for you based on your assessment. I found the Style Advisor to be pretty darn accurate in selecting silhouettes that I am drawn to, and it also helped me hone-in on what my baseline style really is. Sometimes it is hard to be objective about one's own style, and the Style Advisor lets you see your preferences in a tangible format, and allows you to edit them as well. From my Style Advisor selections, I chose this Black Lace Insert Shell Top. It's a perfect layering piece, and has just the right amount of drape to look great underneath a jacket or worn alone over a pair of trousers. Although I was initially going to style it with a pair of full white trousers, Wallis does this beautifully on their website, so I decided to go in a different direction and give it a little more of a casual edge. Try the Wallis Style Advisor for yourself here! 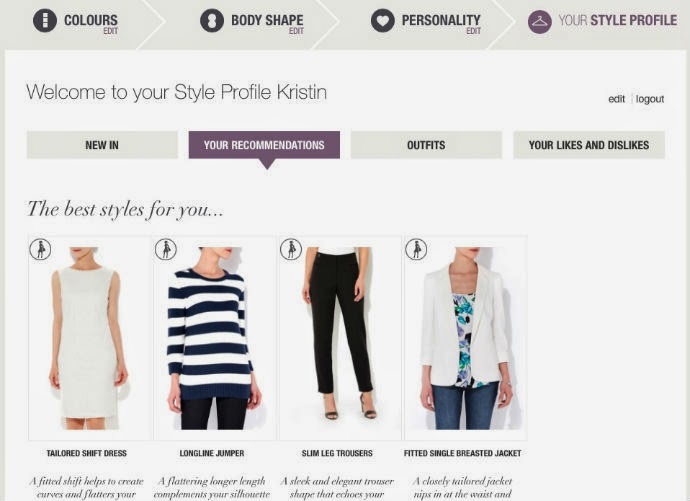 That style advisor app sounds awesome! I don't think any US brands have something that specific to a customer. They ship everywhere too, so US customers can shop too! Yay! I like how you styled the shell...A bit of edge, a touch of classic and the comforts of denim! You look like a natural great outfit .I am going to have to follow you girls and any tips you would have learning color coordinating is all new to a male to female transgendered person lol! I used to like Wallis when I first came to England, but I've sort of come to see them as a bit frumpy. I do have an excellently flattering pair of chinos from them (but they need a lot of ironing). I'm just sending a Wallis white shirt to the charity shop as it needs too much ironing and it gapes badly between the top two buttons. They do have good sales and their sizes are nicely generous so I pop in now and again. Fiona, your timing is excellent because this is a three-part collaboration and I will be road-testing one of their dresses tonight. I was unfamiliar with them before this collaboration and I am really loving their shift dresses. I agree, the app is really useful.